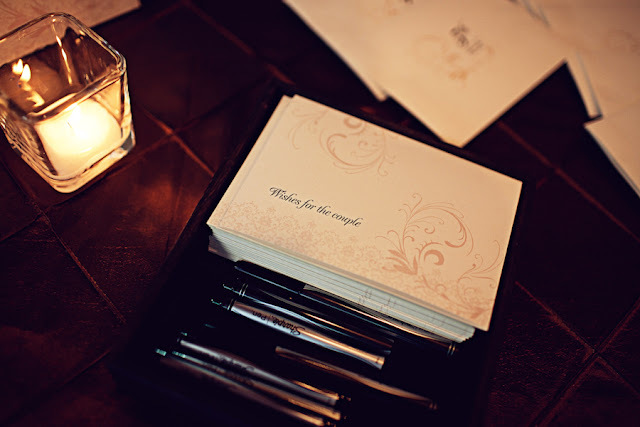 Great idea :) When my best friend got married, I made cards for every guest to write a tip or comment on for them to open after the wedding. They loved reading all the marriage tips and comments for them afterwards. Your version is a lovely way to do it. We did something similar at my wedding! Our two year anniversary is next Tuesday. The card we're opening this year was written by my grandfather who unexpectedly passed away this April. 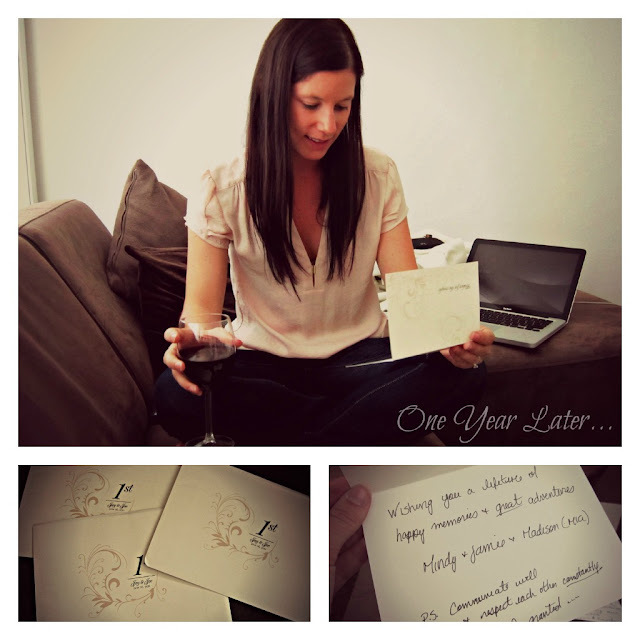 It will be a very special card to read. P.S. I've thought about opening them all, too! We've held out so far, but no guarantees! that is such a wonderful idea.. something to always look forward to. I love this! What a wonderful idea. I am absolutely going to do this at my wedding! That's such a great idea. Something to file away for my wedding. Oh, and you should come link up for wedding Wednesday...it goes all week! Just stumbled across your blog and I love it! Can't wait to read more! 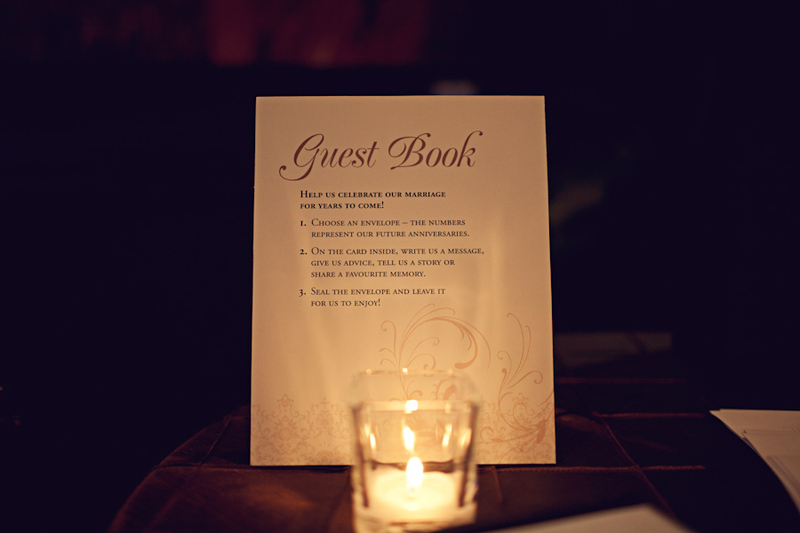 That guestbook is such an amazing idea! I love it!